David Boone became homeless in his early teenage years. 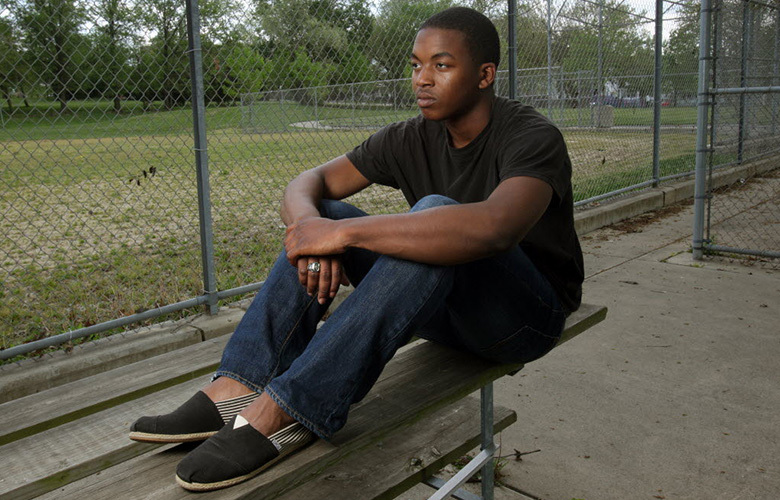 “When I was 14 years old, my family and I lost our home to gang violence. I refused to join the gang, so they retaliated, leaving bullet holes in our house and our family. As a result, my family had to split up because no one had room to take us all in together” David wrote in his blog. David lived in a variety of places for about 2 years until his mom secured a safe place for his family. He lived with friends, caring families and sometimes even on a park bench. As for the park, he said it was unsafe to sleep there at night, so when he wasn’t in school, he would sleep during the day, “If you sleep in the daytime in the park, people don’t bother you,” he said. “You’re just taking a nap. It’s acceptable.” He would use his book bag as a pillow with his books on the bottom for height and papers on top to provide padding. David would study in the transit station that had heat and was open late. He worked hard. His high school principal, Jeff McClellan told the Cleveland Plain Dealer, “[David] was getting up at 5 a.m. and coming in early to get caught up on his work.” Of course, McClellan later learned that David’s early arrival was also driven by the fact that he didn’t have a stable home. That led McClellan and his wife to eventually take David in, who lived with them for over a year. David graduated high school as salutatorian, and will attend college next year on a full scholarship from the Bill and Melinda Gates Foundation. David was accepted to Harvard, Princeton, Brown, Cornell, Yale, and University of Pennsylvania among others. David wrote, “In making the final decision, my first criteria was financial aid — but that went out the window when I received that Gates Millennium Scholarship. My second criteria was food, but that became not so important when I realized that I’ll get tired of it wherever I go. So the final criteria was location.” David chose Harvard. In his blog, the Cleveland teen thanks many of the people who helped him. Mary and Robert Gatson, his middle school nurse and her husband, with whom he stayed, his principal, Jeff McClellan, whose family he lived with for over a year and his friend Eric’s family. The generosity of many people certainly had a big impact on his life. Not all of us can change the world, but we can keep our eyes open for the opportunities to help one person at a time. Like David’s principal, school nurse and his friend’s parents, we can try to pay attention and act on opportunities to help when they’re in front of us. Not everyone is in a position to bring strangers into their houses or comfortable with that type of commitment, but there are small acts of kindness we can do to be heroes. As for David, in his graduation speech, he makes a proclamation: “I’m here to tell you, [we] the class of 2012 . . . will change the world.” I believe that David Boone can and will. If you enjoyed this content, please consider clicking this link and liking my Facebook page. You’ll be helping me get my book published (Publishers said I need more Facebook fans). Thank you! If you enjoyed this article, you’ll also like Nicholas Winton: An Ordinary Person Doing Extraordinary Things–How a 29-Year-Old Stockbroker Saved 669 Lives on Nights and Weekends.